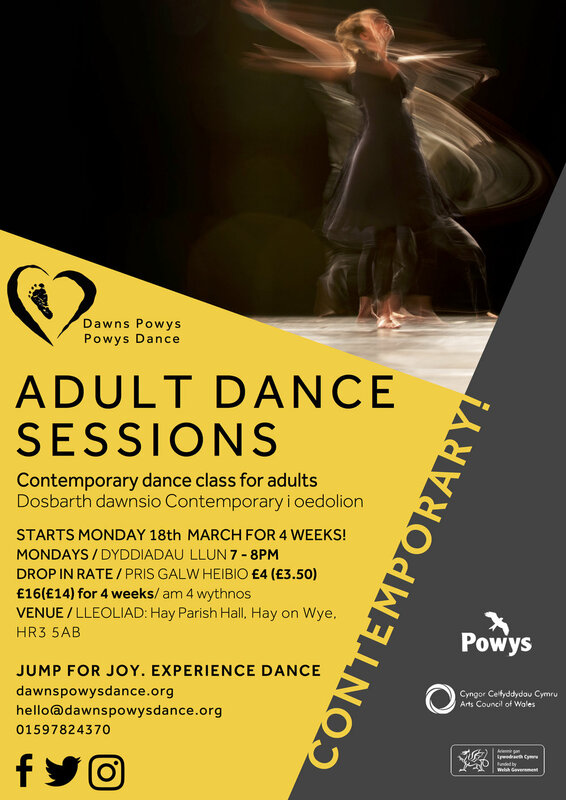 After a successful winter term of children’s dance sessions in Hay, Powys Dance are bringing a new groove to Hay on Wye in the form of dance sessions for adults! Something brand new to get 2019 started well, 12 weeks of adult dance sessions, offering an array of dance styles to anyone looking for a new and fun challenge to kick the new year off with! 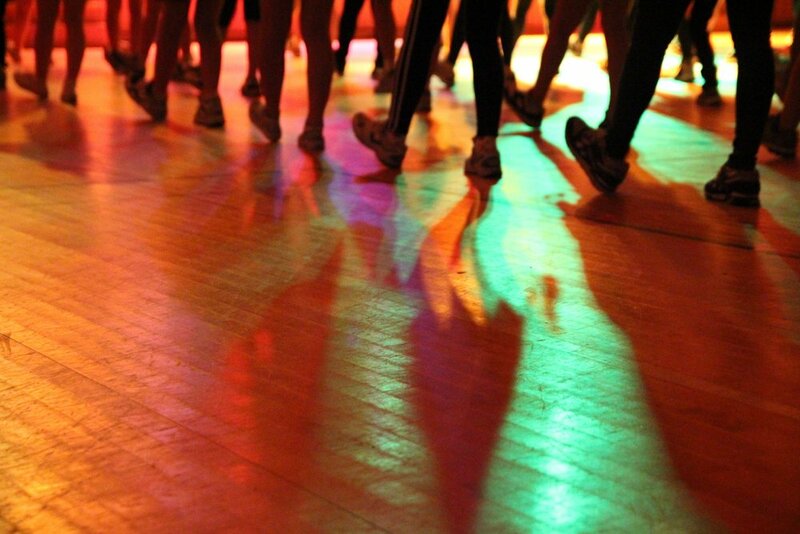 On the dance menu will be Salsa, Jazz and Contemporary dance in 4 week blocks over a 12 week term, starting on Monday 14th January with 4 weeks of Salsa! 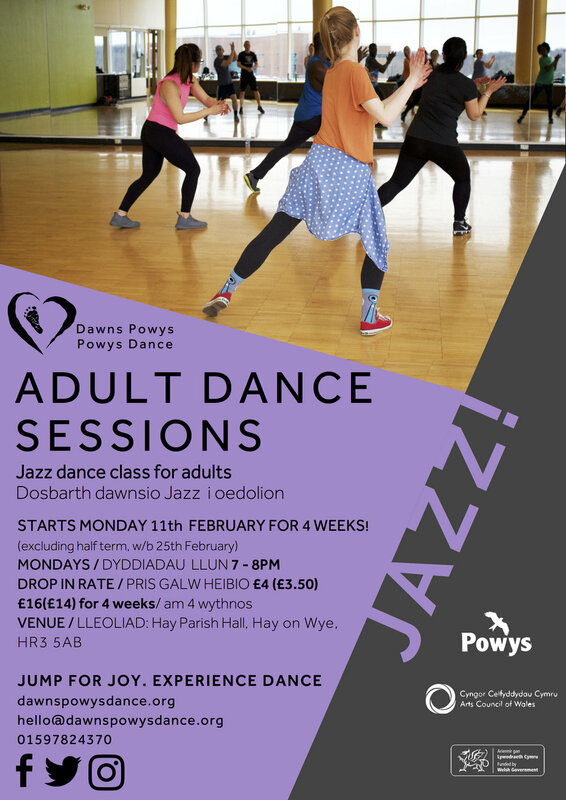 We’ve already had a lot of requests and enquiries from adults in Hay about these sessions, so we do advise that you pre book to avoid disappointment! We’d love you to get in touch if you wanted more information on these classes, we’d be happy to talk all things dance with you!